FloYo | Take Your Yoga Practice On The Water! Paddle Board Yoga Workshops, Retreats, and Certifications Worldwide! The signature FloYo class consists of vinyasa yoga sequences with sun salutations on a SUP board that flow into lengthening and strengthening poses, balance postures, breathing techniques, and even a little play time on the boards. FloYo® classes were created out of a passion for being active on the water. FloYo® founder, Jessie Benson, grew up on the water and as a collegiate rower she was able to combine her sports background with her love of water sports. A few years after leaving the rowing world, Jessie discovered stand up paddling and instantly fell in love. In 2010, when she stepped on a board for the first time she instantly began to dream about ways to combine her passion for teaching group fitness classes with the blissful feeling of being on a SUP board. In 2012, FloYo® was born and over the past few years the class has been refined to create the full mind/body experience that it is today. Experience this active and restorative workout that combines yoga, SUP, and group fitness classes! 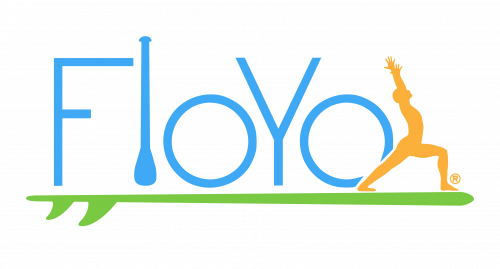 Already in love with FloYo and want your SUP yoga certification? We can take care of that too!